$50.50 - $130.50 plus applicable fees. 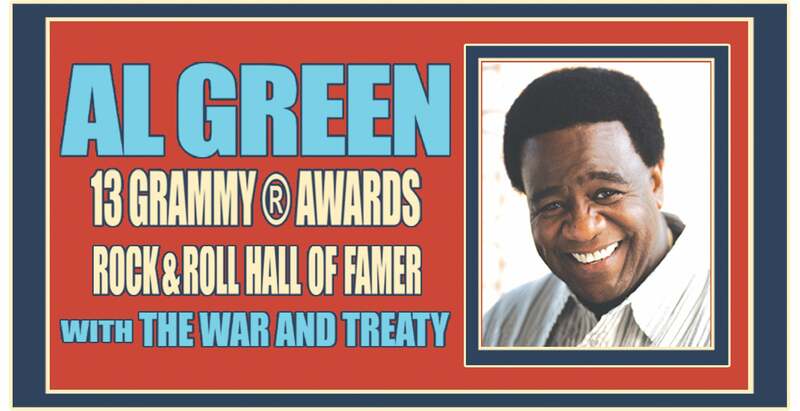 The GRAMMY® Award winning and Kennedy Center Honors recipient Al Green returns to the stage to perform some of his most iconic hits and fan favorites at his first concerts in more than seven years. Green's powerful and passionate performances of timeless classics such as “Let’s Stay Together,” Sha-La-La (Make Me Happy) “I Can’t Get Next To You,” Tired Of Being Alone” and “I’m Still In Love With You,” as well as his ability move entire crowds and have them singing along to gospel favorites such as “Nearer My God to Thee,” “Precious Lord,” “I’ll Rise Again” and his rendition of “Amazing Grace,” have made him one of the greatest performers of all-time.